It’s finally fall here in the Pacific Northwest. Which means cooler weather, rain, and apples (oh, and mushrooms too. Mmmm :)). 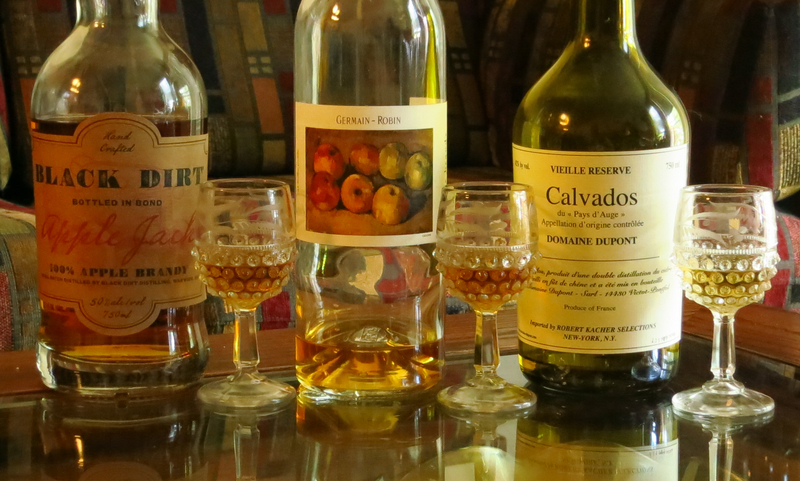 We’re both big fans of cider but we also love calvados and applejack, the delightful distillates thereof. These apple-based spirits don’t get enough love in our opinions, so this week we’re going to talk about both! 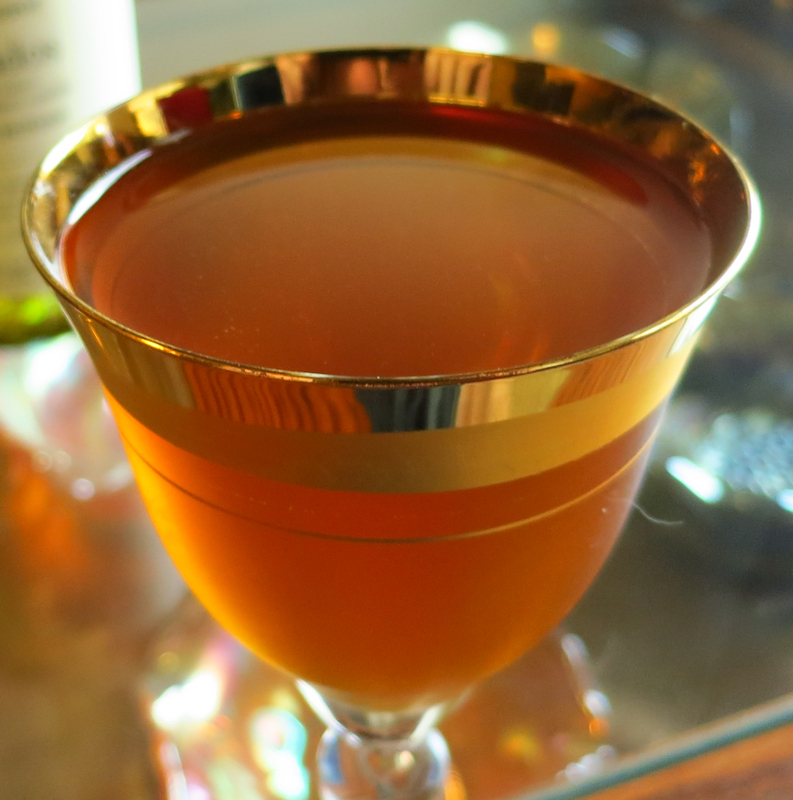 Anyhow, today we’re talking about three apple brandies. Germain-Robin apple brandy (they also make some truly lovely grape-based spirits as well), Domaine Dupont Vieille Reserve Calvados, and Black Dirt Applejack. Nose: Light, sweet fresh apple. Herbal notes like anise and dill. Dusty leather and paper, like an old book. Hint of apple pastry/cooked apple. Palate: Very smooth. Nice heavy body though quite dry. Nice round apple flavor to start. Anise and dill on the mid-palate. Old leather on the finish. Similar in presentation and body to a cognac, not too surprising given the maker. Nose: Very dry apple, apple skin rather than flesh. Apple wood and oak. Little bit of smokiness, some alcohol bite. Nose: Apple fruit and skin, very rich and round. Little bit of sharpness like sour cider. Layered musty/earthy/winey scents, like a wine cellar. Palate: Strong sweet apple and faint musty cellar notes. Mid-palate has a peppery bite. Finish is dry and astringent with some mineral notes. Long peppery aftertaste. Fairly light bodied and dry. Shows it’s cider roots more than the other two, with more fresh apple and less aging-related flavor and texture. All three are very tasty and very different, which we love. It’s great having lots of flavor options to use when mixing. And speaking of mixing, we decided to make up a couple cocktails to see how our apple spirits would do . First up, we noodled around with the Black Dirt because we felt the strong bourbon style would have some interesting flavors, and would stand up well to other strong flavors. We were right (hurray!). Stir all ingredients with ice. Strain into a glass. Cheers! Nose: Apple skin and fresh apple. Sweet herbs and smokey, earthy notes like burning leaves. Little bit of sweet cream with hints of chocolate and coffee, like tiramisu. Palate: Starts with dry apple, coffee, cloves and bitter chocolate. Mid-palate is really spicy with lots of baking spice notes; cinnamon, nutmeg, black pepper, balanced by honey and cooked apple. Finish is earthy and smokey with notes of black pepper and a nice herbal, bitter bite. Barrel notes at the end of the finish and into the aftertaste. Nose: Strong apple, musty barrel room, caramel and herbal notes. Little bit of orange oil and orange pulp, like fresh orange juice. Hint of oxidized wine. Palate: That is tasty! Lovely, sweet, round apple to start. Little bit of oxidized wine with caramel and herbal notes on the mid-palate. Orange underpins the mid-palate giving it a boost overall. Light bitterness kicks in at the mid-palate and into the finish. Restrained spice on the finish and into the aftertaste. Toasty, burnt sugar aftertaste. The two primary ingredients are in great balance and really shine. 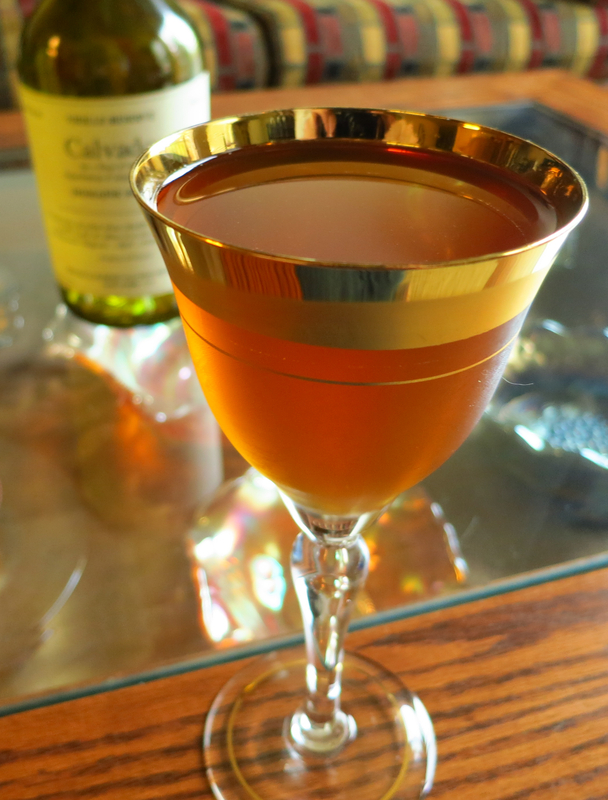 Mouth feel is spectacular, the vermouth gives it enough body to make it nice and silky but not heavy. So there you go. Three different and delicious takes on apple brandy, and a couple of looks at the cocktail possibilities they offer. If you have any local applejack or apple bandy producers, by all means try them out, and Calvados from the decent to the stratospheric is available online if not from your local liquor mega-mart. You will be well-rewarded to have at least one bottle of apple spirit in the cabinet. Salut! 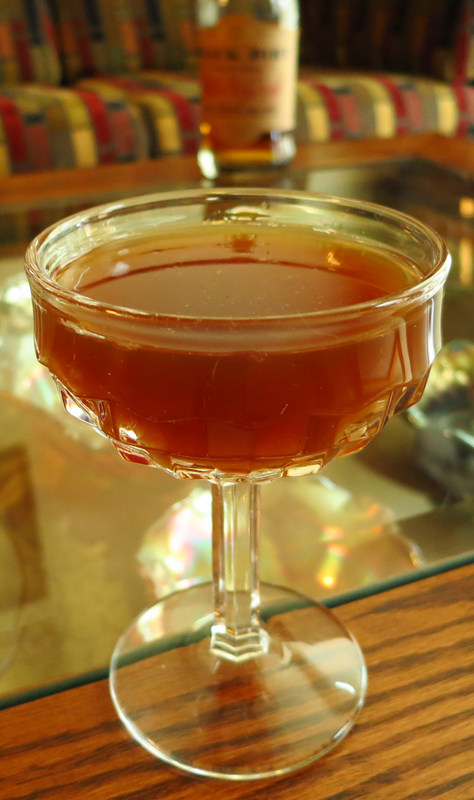 This entry was posted in angostura bitters, apple brandy, apple jack, averna, calvados, coffee liqueur, honey, orange bitters, ramazzotti amaro, simple syrup, sweet vermouth, Tasting Notes and tagged fall cocktails, Norman Persuasion cocktail recipe, oak king apogee cocktail recipe. Bookmark the permalink. So glad Fall is finally here. This is my favorite time of the year. I enjoy transitioning from beer to cocktails. The ones listed here sound fantastic. Can’t wait to try them out and report back how they tasted. I appreciate the share! Thanks. Do let us know what you think.